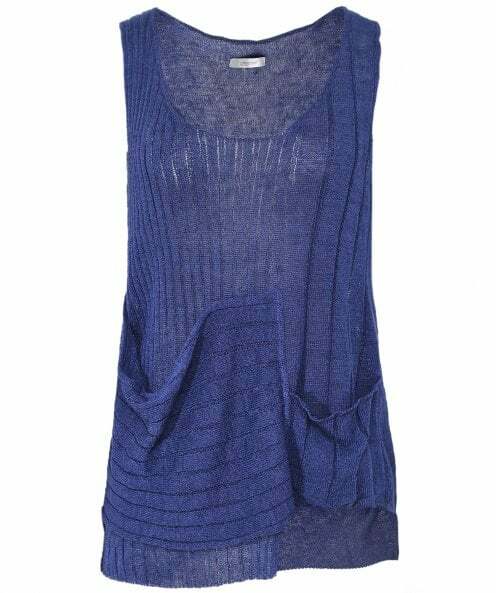 Inject contemporary charm into your casual wardrobe with the Crea Concept contrast drape vest top. Expertly crafted from a linen and cotton blend, this distinctive vest top features a flattering scoop neck, textured front, front pocket and a textured draped panel detail offering a unique twist on the classic vest. Style yours with cropped trousers and sandals for a laid-back everyday look.